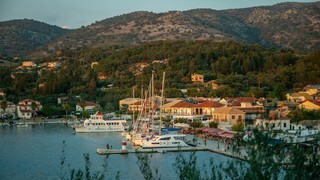 The quiet town of Sivota is situated on Greece’s western coast on the shores of the Ionian Sea. 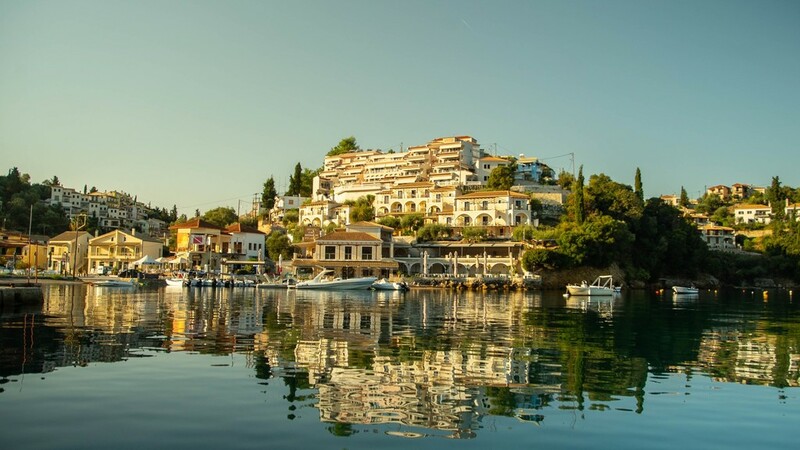 The hillside setting and surrounding landscape make for a beautiful base for the week and offer us the chance to explore the area’s coves, beaches and islands. 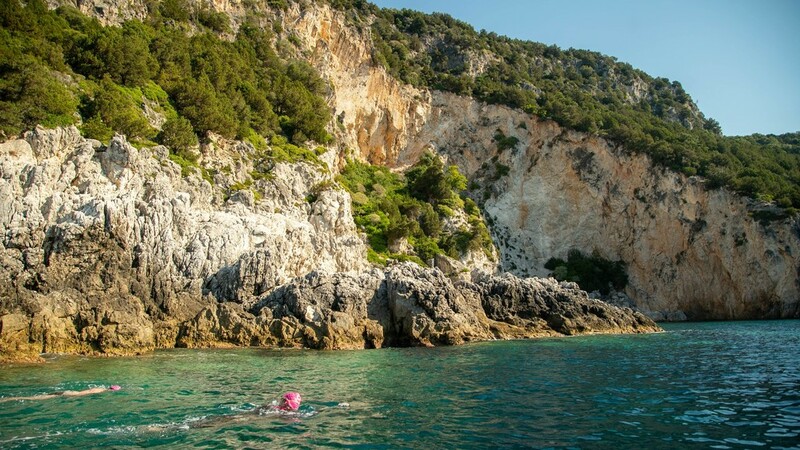 The islands of Mourtemeno, Agios Nikolaos and Mavro Oros all sit between the mainland and the nearby island of Corfu and with their craggy coastlines makes them ideal to swim alongside and explore. The nature of this trip means that we actively seek out caves, tunnels and swim-throughs over the course of the week, with our guides often jumping in the water with you to share in the experience. This trip is designed for swimmers who enjoy a combination of coastal swims, short crossings and circumnavigations. With plenty of caves, tunnels and swim-throughs to discover, it is a great option for the swimmer who likes to take the time to explore their surroundings as they swim. 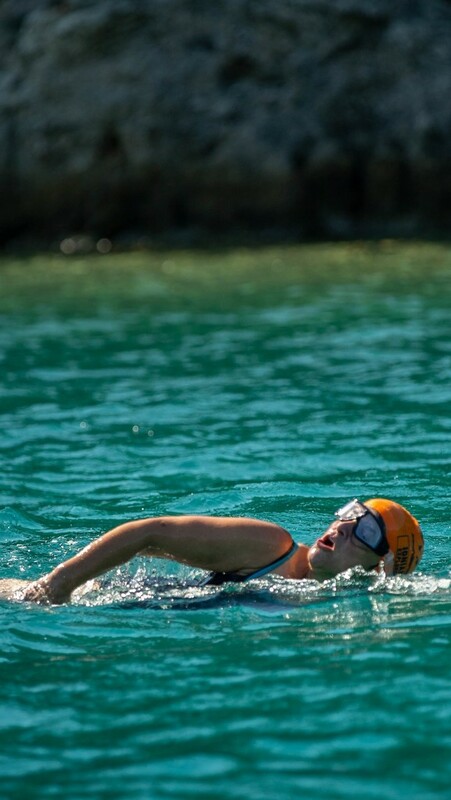 Swimmers should have a basic understanding of open water swimming and be capable of completing the average daily swim distance of around 4km (split over a minimum of two swims) prior to the start of the trip. 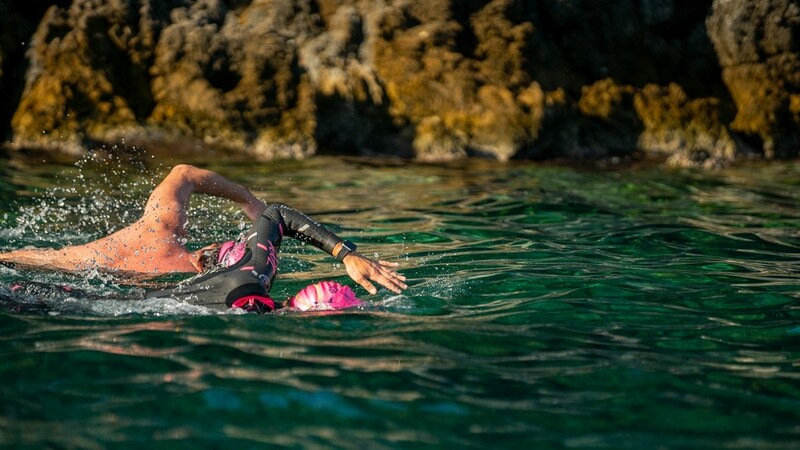 Please note that the below daily itineraries are an example of the swims that may take place during the course of your trip, however, actual swim locations and distances will vary according to local weather and sea conditions. 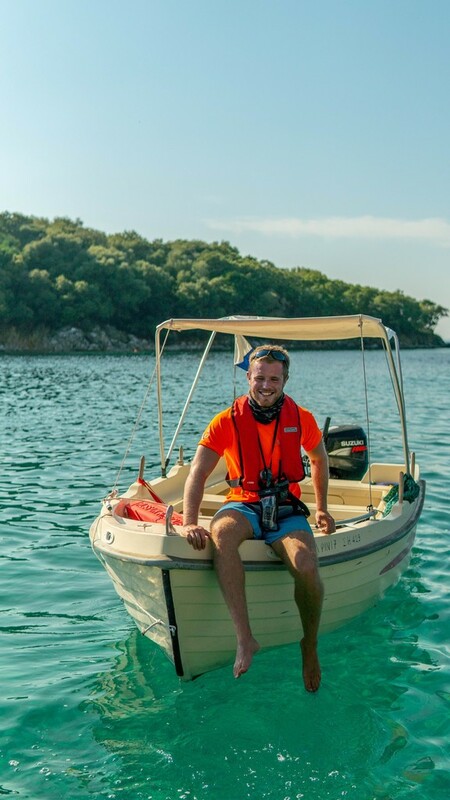 Your SwimTrek guides and local boat pilot will determine the most suitable swim locations each day and will communicate the plan with all guests as soon as possible. We kick off the week with a circumnavigation around Mourtemeno, the archipelago’s smallest island. 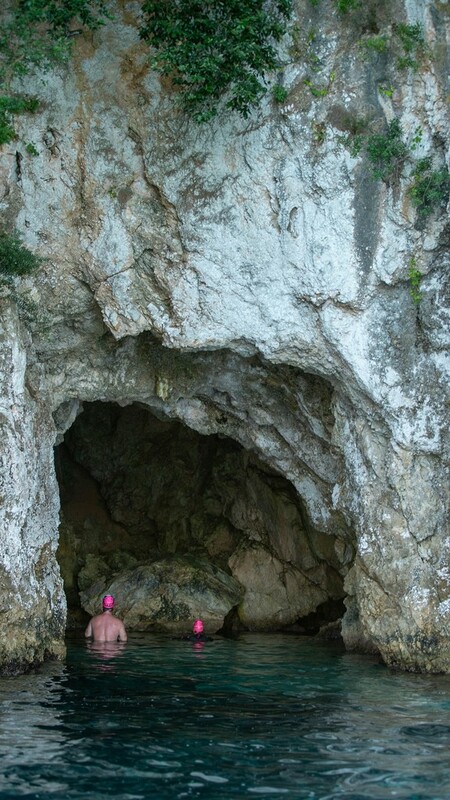 Here we’ll find arches and caves to explore, with a particular with the water shallow and clear enough to be able to see the seabed and the abundance of sea life that stretches around the cave. 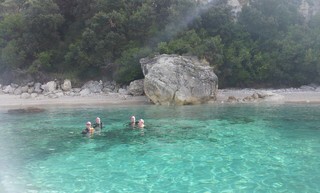 In the afternoon, we swim directly from the hotel and head towards the uninhabited island of Agios Nikolaos. Here we’ll see a scattering of pristine beaches when we attempt a full circumnavigation around its heavily wooded coastline. 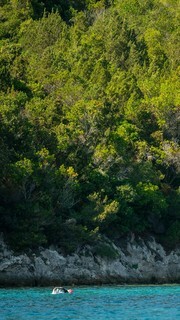 We head south as we travel along the coastline until we arrive at Sofas Bay. From here, we journey along the rocky peninsula, passing islets on our way. The water here has a stunning deep blue hue and you can see the interesting topography rising from the seabed. We finish for the morning at the small tranquil harbour of Arillas. In the afternoon we make a crossing to the rocky outcrop of an island affectionately named by the locals as ‘Alcatraz’. 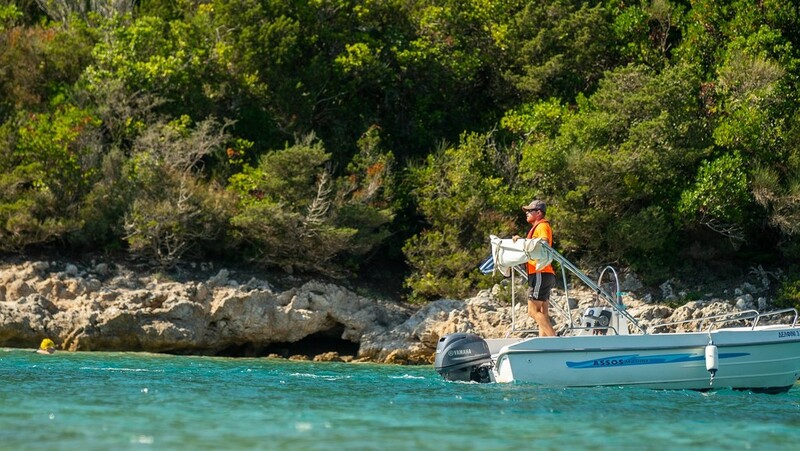 We then make another crossing back to the mainland and continue to follow the shoreline back to Sivota where the abundance of sea life has led to it becoming a popular dive site. 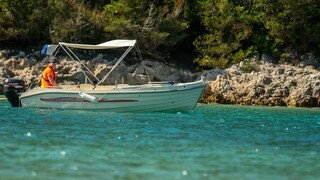 We travel by boat along the south-eastern coastline to Mega Ammos beach. 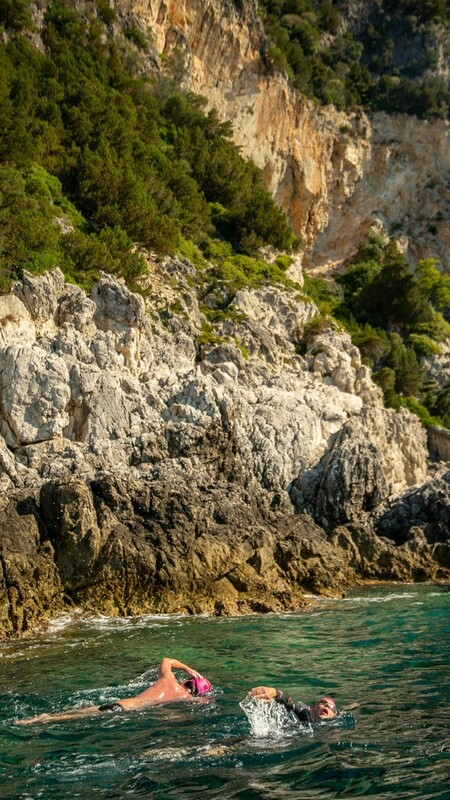 From here, the coastline is a mix of caves and tunnels which makes for excellent exploration. 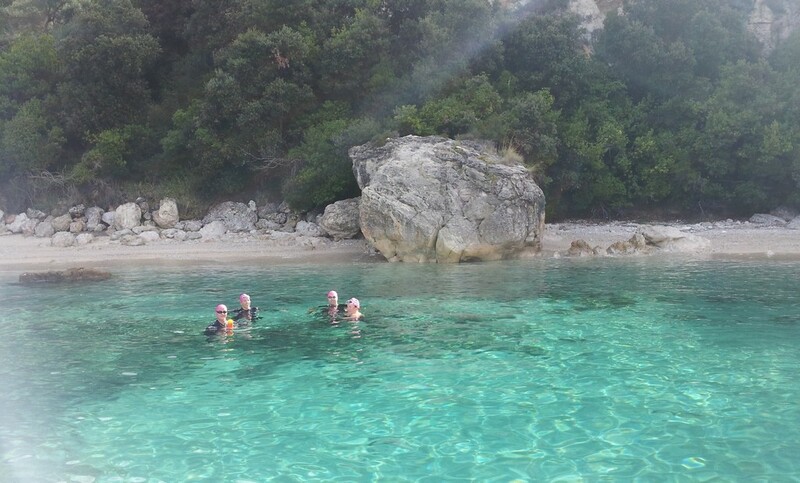 We swim eastwards past Mikri Ammos, stopping for a drink and snack at Mega Ntrafi. The steep hillsides of the mainland line the route of our morning swims. 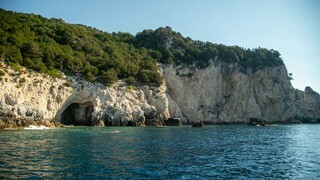 Our second swim of the day see us swim through a magnificent rock arch as we head around the headland to finish at Agia Paraskevi. We travel by boat and north towards Albania for one of our longest swims of the trip. 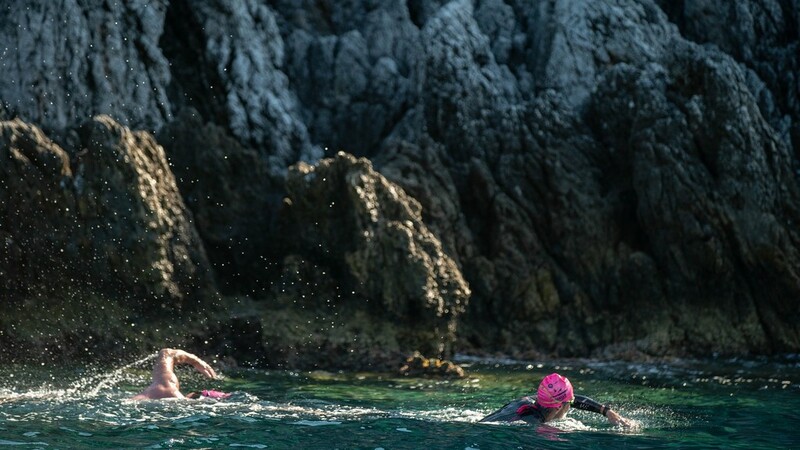 We’ll enjoy more remote swimming as we come across isolated bays, remarkable rock formations and underwater vistas, forming a marvellous backdrop for the mornings swim. The seafloor is visible below you for the duration of this journey down the coastline. 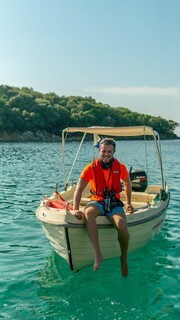 Depending on weather conditions, we’ll either continue swimming north towards Albania or complete a crossing to the densely wooded and uninhabited island of Plataria. 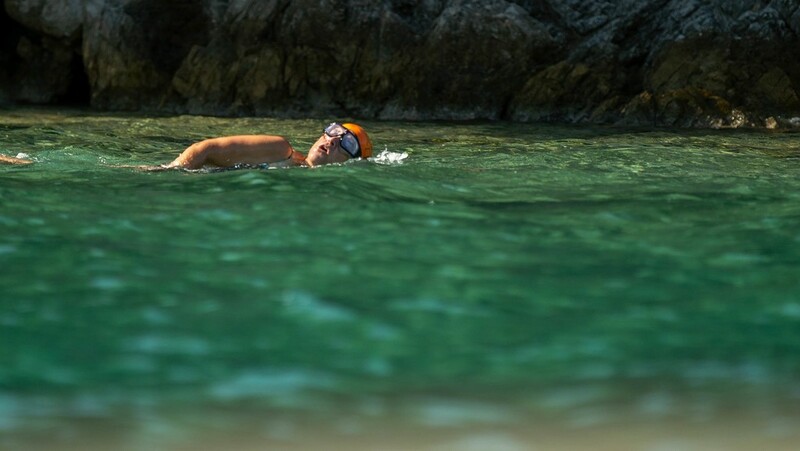 We have a fantastic swim ahead of us this morning as we make a full circumnavigation of the island of Mavro Oros, the largest island of the eponymous archipelago. We come across caves, tunnels and sea arches as we make our way round the steep coastline which plunges sharply to the ocean floor. As you turn around its western cape, there are magnificent views of Corfu, which is just 8 km away. 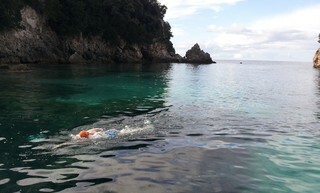 There is also an opportunity to climb up to the Ottoman lighthouse which overlooks Corfu and a section of our swim. We have our final swim of the trip on a nearby beach, which gives us a chance to say goodbye to each other and the stunning Ionian Sea before the trip comes to an end. Most walks take place on recognised paths and tracks, however there may be cases where we walk along trails or other unsealed surfaces and care should be taken in these areas. *Please note that these temperatures are indicative and should be used as a guide only. Boat support on this trip includes one main boat and two support boats to be piloted by your SwimTrek guides and a local boat pilot. Please note that this boat support is subject to change without notice and cannot be guaranteed. There are several ways to travel to Sivota, however, the most common route is to fly into Corfu Airport and then catch a local ferry to Port Igoumenitsa. From here, the hotel is a 30-minute taxi ride. It is also possible to fly into Preveza Airport and then catch a taxi from the airport to the hotel, however, please be aware that flight availability is very limited for this route. While we have outlined various travel options below, they are subject to change and should be used as a guide only. We suggest that you use Skyscanner to search for alternative flight options. Whichever route you choose to take, we recommend confirming your flights and other travel bookings as early as possible in order to avoid price rises and availability issues. Please do also note that from April 7th 2019, the Hellenic Police will be implementing systematic passport control checks for all European citizens travelling to/from destinations outside the Schengen area (including the UK). Waiting times at passport control may be affected so please ensure you arrive to the airport in good time. To search for available flights into Corfu Airport, we suggest that you use Skyscanner. From the the airport, you will need to catch a local taxi from outside the arrivals area to Corfu Port (Kerkyra). The journey should take approximately 10 minutes and cost between €15-€20, depending on the number of passengers. For local taxi information, rates and reservations please visit: Corfu Taxi Service. 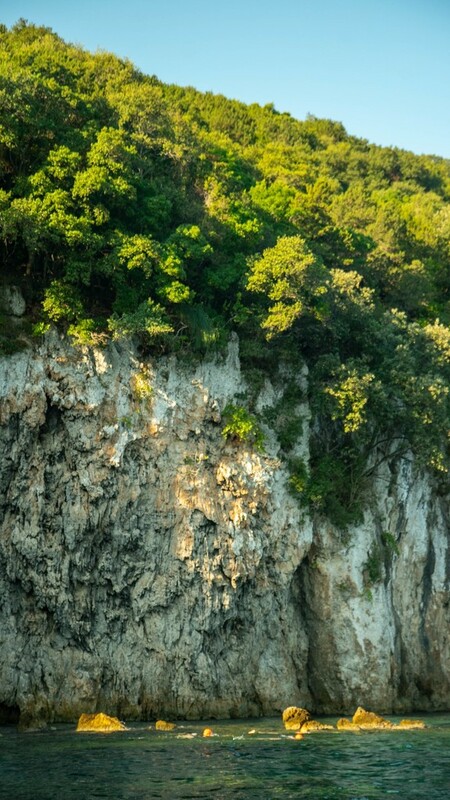 From Corfu Port (Kerkyra), there are several ferries that run each day to Port Igoumenitsa and cost approximately €11 per person and a timetable can be found at: Corfu Ferries. Please note that timetables are subject to change without notice and passengers must be at the port half an hour prior to departure in order to purchase their tickets from the ticket desk which is located at the port entry. It is also possible to travel from the port to the hotel via a local bus, however, please note that the service only runs from Monday to Friday. For information and timetables for this bus service, please visit: Ktel Thesprotias. Please note that this website is currently only available in Greek and you may need to translate this page in order to view the information in your chosen language. To search for available flights into Preveza Airport, we suggest that you use Skyscanner. Please note that flights are very limited and often only include 1-2 departures per week to many destinations. Once you arrive in Preveza, the easiest way to get to Hotel Filakas is by taxi. This journey takes approximately one hour and costs €80-€160, depending on the number of passengers. We advise that you book your taxi in advance in order to save time and money. This journey can be booked via: Preveza Airport Taxi Services. Our accommodation for the week is at at the comfortable Hotel Filakas. Rooms sit between terraced gardens and are linked by a series of stone pathways and steps, which lead down to the waterfront below. Rooms are based on a twin-share and have en-suite facilities. There are a limited number of single supplement rooms which can be reserved during the booking process, subject to availability. All breakfasts and lunches are included in your trip price, however dinners are at your own expense. This gives you a fantastic opportunity to explore and experience the local cafes and restaurants of your choice over the course of your trip. The average cost of dinner in a local restaurant is between €20-€25. You should bring extra money with you to cover such items as transfers, entertainment, dinners, souvenirs, etc. The local currency is the Euro (€). Please note, the Greek Ministry of Tourism has introduced an Overnight Stay Tax. This is payable upon arrival at the accommodation at a rate of €1.50 per room, per night. Greece is part of the European Union. Non-residents of Greece require a full passport to enter the country, which should be valid for six months beyond the expected length of stay. Citizens of most countries, including all E.U. member states, U.S., Canada, Australia and New Zealand do not require a visa to enter Greece. Please note that visa regulations are subject to change and we advise that you check your own visa requirements prior to travel. For comprehensive health information for people travelling to Greece, including all recommended and required vaccinations, please visit Travel Health Pro. Please note that this information is subject to change and you should re-check this site regularly prior to your trip. For a useful source of information on the different electrical outlets, electrical plugs, and electric sockets, please visit ElectricalOutlet.org. Having such a great time! This was my first SwimTrek holiday and it was wonderful. Lovely clear water, lots of caves to explore, great guides and a fun group of people. I loved every minute of it. I have had an extremely good time on this trip. The Hotel was nice and very practically situated right by the sea with delicious Mediterranean food. The water quality was superb and the guides did their best to make everyone happy. There was so much sea-life to discover and even some corals could be seen in the water. SwimTrek created a good framework for people to come together from all walks of life and ages to have a great holiday experience. This vacation was one of the best I have ever had: the sea, the company, the non-competitive atmosphere. It was just great. I am ready to embark on another one tomorrow. Stunning location, this trip completely surpassed my expectations. Kudos to SwimTrek! The trip exceeded our expectations! We will be back. Our accommodation for the week is at the comfortable Hotel Filakas, which overlooks Sivota’s harbour and offers views of the Ionian Sea. Rooms sit between terraced gardens and are linked by a series of stone pathways and steps, which lead down to the waterfront below.